Read the book first, now cool to hear the story. 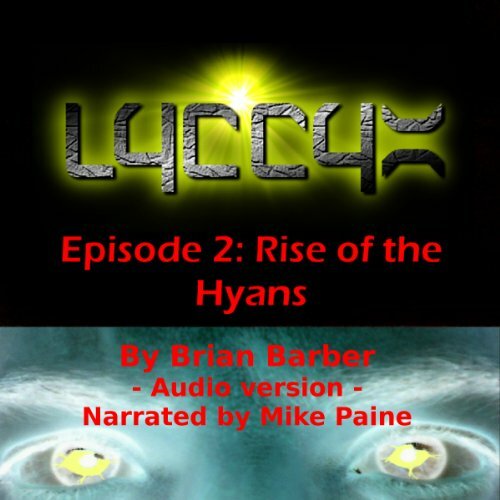 Where does LYCCYX Episode 2 rank among all the audiobooks you’ve listened to so far? I haven't listened to too many audio books, but I have listened to many podcasts and lesson plans. This is ranks high for me. It's not boring. The narrator has a great radio style voice and reads the story well. I read the eBook first. Having the story read to me helps bring the story to life more. The story itself I like is that it is set up like a journal of a soldier trying to find himself. Which character – as performed by Mike Paine – was your favorite? For me this was a good icing on the cake for the LYCCYX series. Can't wait for the movie! I'm looking forward to seeing more from Brian Barber.